Thanksgiving is days away and we hope you’re ready for it! We tried our best to give you guys some tips and tricks to help you get ready. 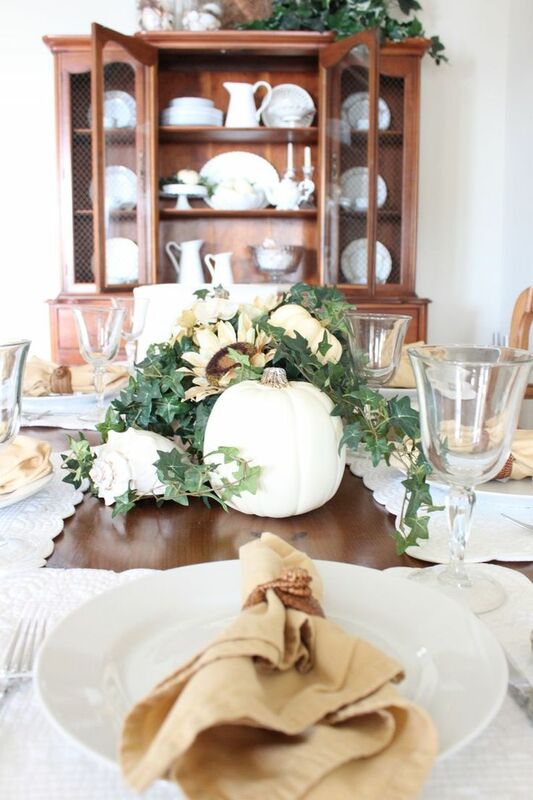 This last Thanksgiving post is all about the Thanksgiving table centerpiece. 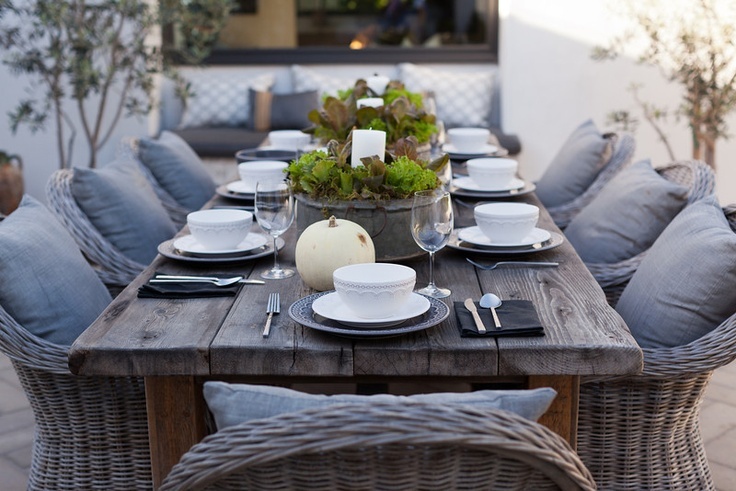 We’re sure you have something in mind for your centerpiece and it may already be done as well as set up on the table, but it’s never too late for a little inspiration. 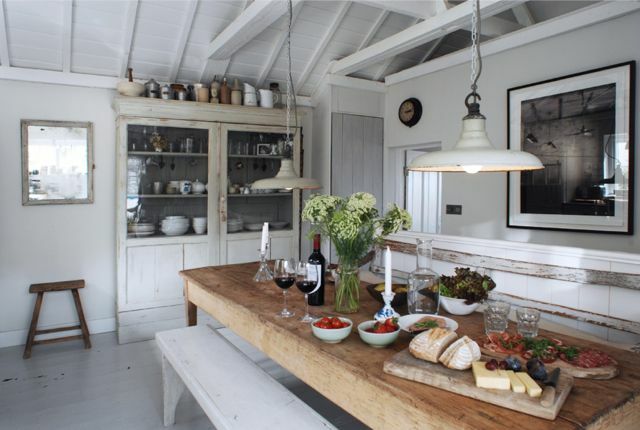 We’ve grabbed some great coastal centerpiece photos for you guys to draw some inspiration from. 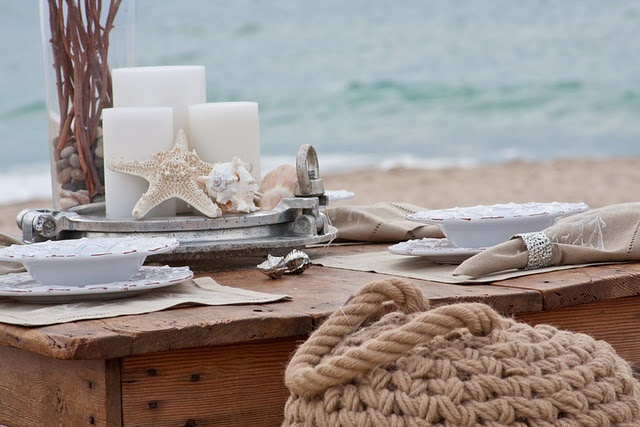 These are great because you can add to your existing centerpiece or even just be starting on it and these photos will help inspire. 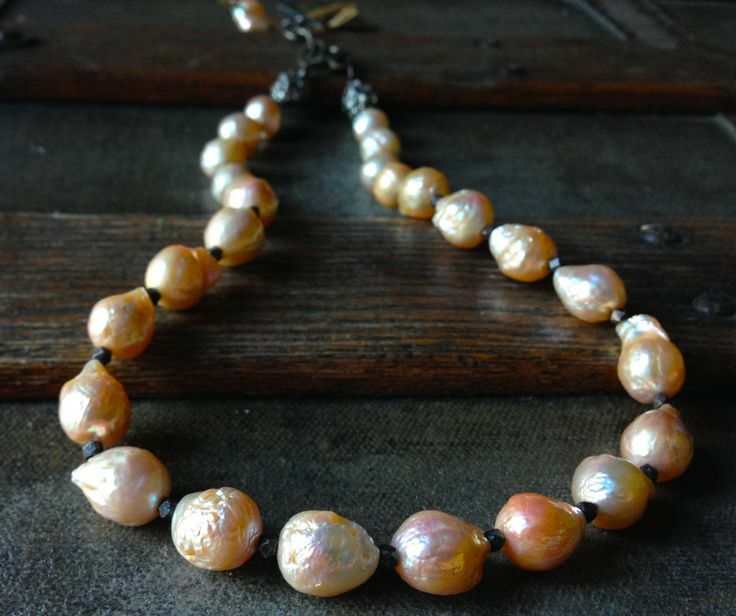 Check out some these photos and get your centerpiece looking stunning and beautiful! Preparing is half the battle. We’re trying to get you guys prepared for the upcoming holidays so it won’t be as stressful as it’s already going to be. 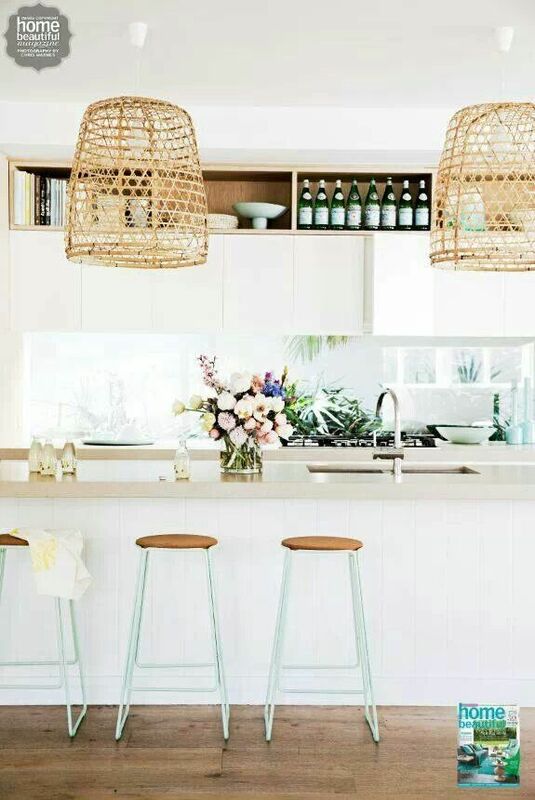 Last week we gave you a few tips to get your kitchen ready for the upcoming holidays, if you missed it jump over to it here. 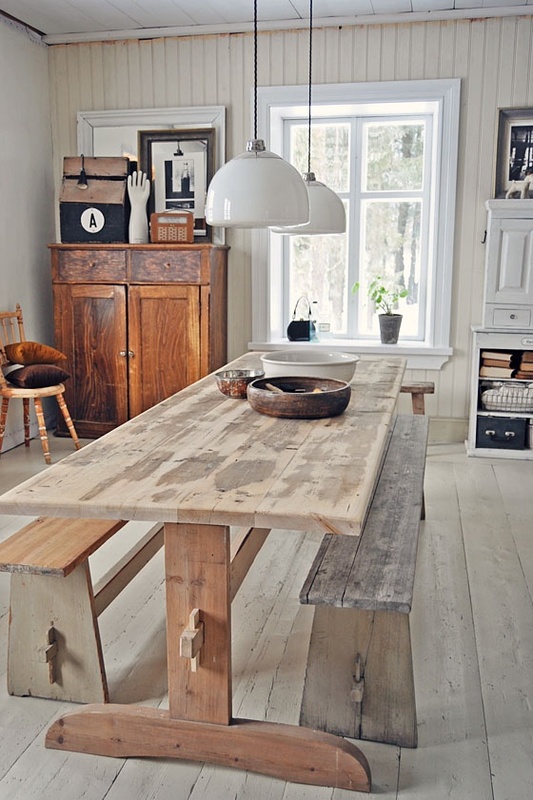 This week we’re focusing on the table. 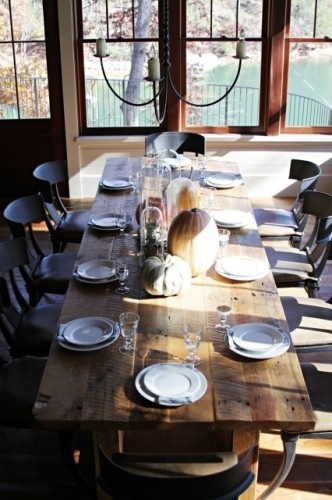 Let’s get your table ready for the holidays. It’s going to see the most action it will see all year in the upcoming months, so let’s make it ready! 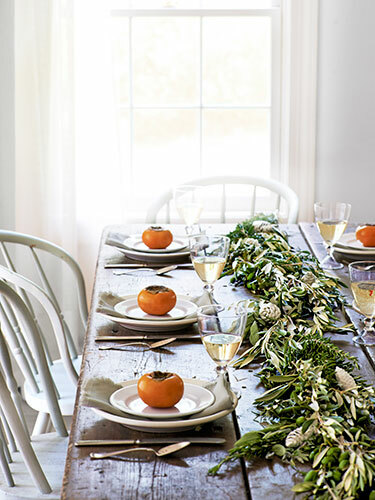 We’ve got 3 tips to help you and your table make it through these holidays. Ready? Let’s go! 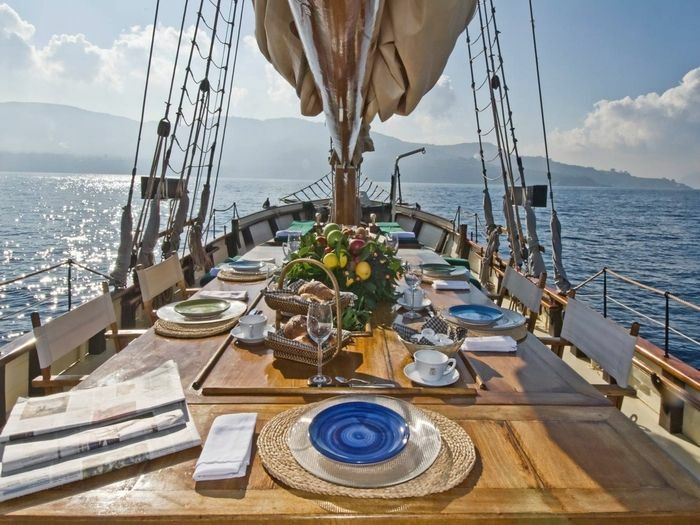 Let’s give your table some depth. 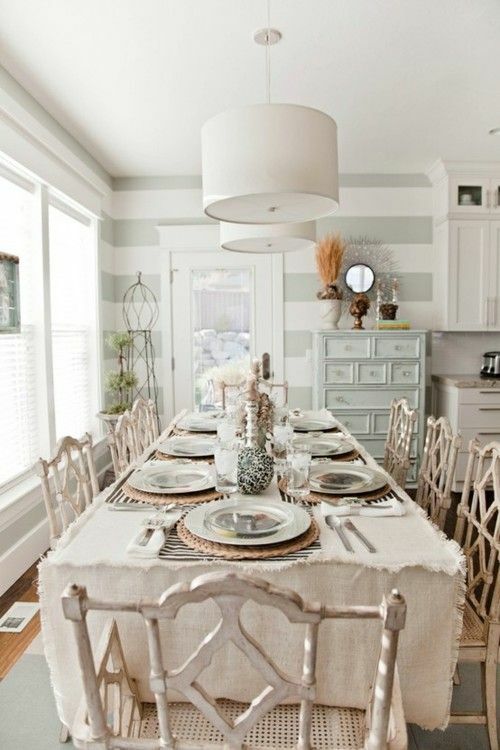 We can accomplish this with table clothes, runners, place mats, and stacking dishes. 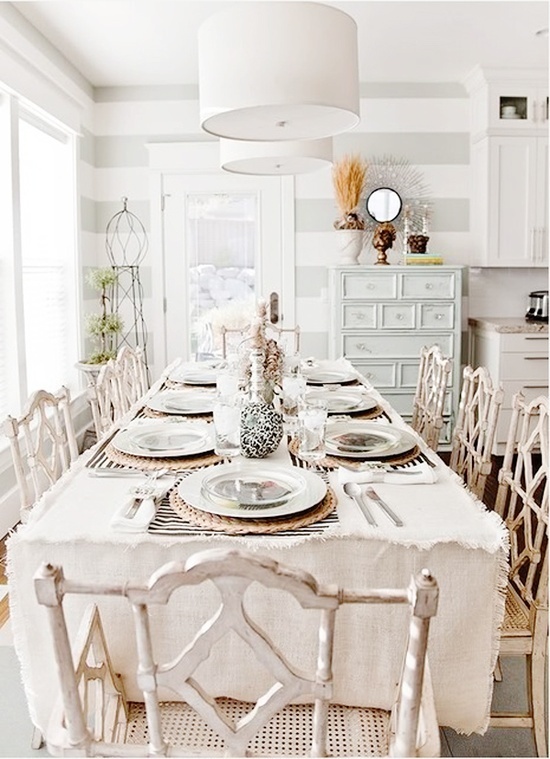 Layering your table linen will instantly give your table some depth and if you want to play with colors it can even add contrast or fun pops of color. Don’t limit yourself by placing each and every dish, utensil or napkin on its own. Stack them up to add dimension to the table. Place those beautiful napkins on the stacks for the bonus cherry on top. 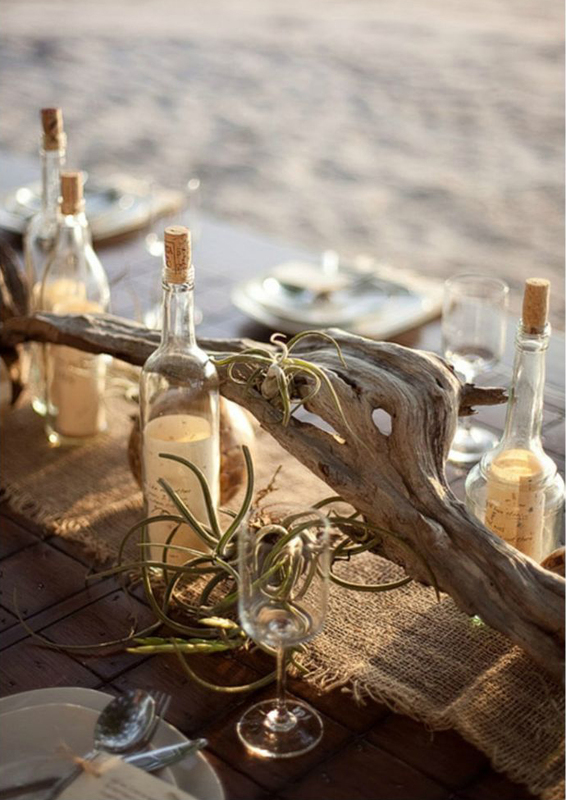 We love gorgeous and stunning centerpieces, but usually they are large and take up some valuable table space. So this year try to keep it simple. This way it will save you time and hassle. 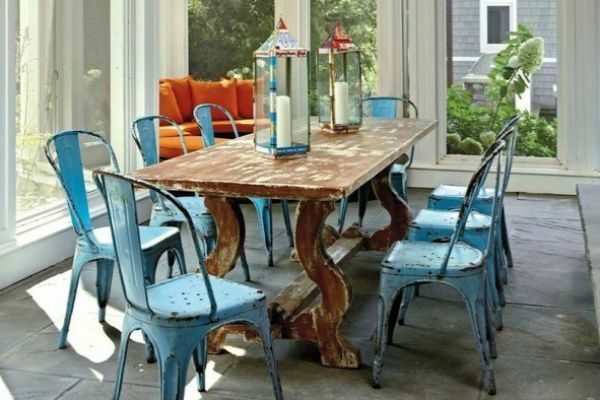 Depending on your table size, you may be able to leave your stunningly simple centerpiece out for the actual dinner. No extra time spent removing it and no one will be left out of the conversation due to the monstrosity of a centerpiece. Holidays are messy – plain and simple. So prepare for them. Mentally preparing for that stain that’s going to happen on your new/favorite table runner is probably going to help you cope with it a lot better when it happens. With that in mind, maybe we don’t want to use our newest or best stuff during the holidays. Food for thought. 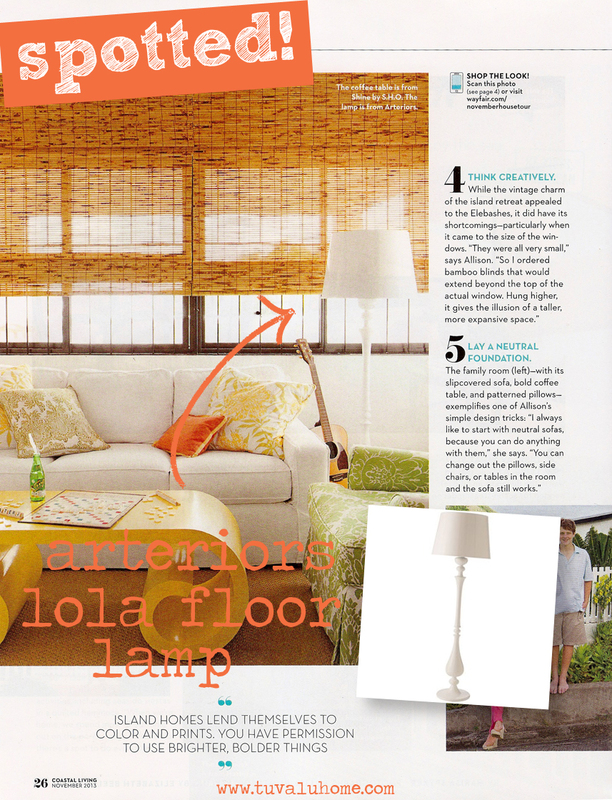 Look what we found in this month’s Coastal Living, one of our favorite floor lamps! The Arteriors Lola Floor Lamp is a piece that can effortlessly blend into any space. 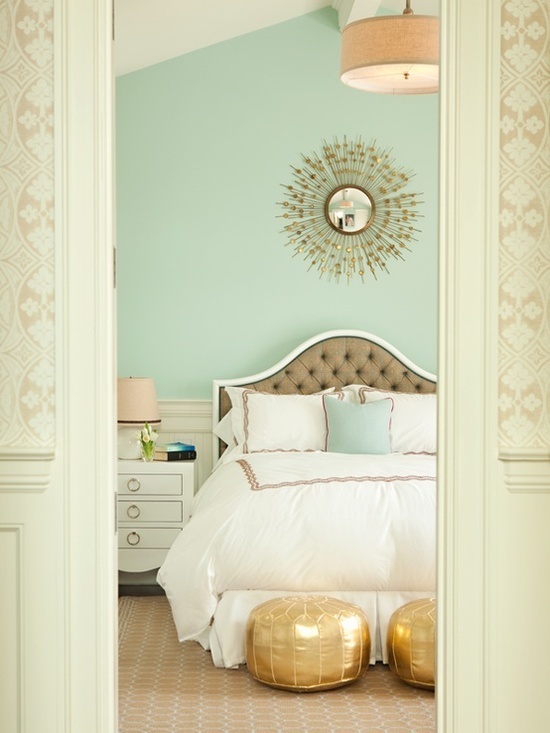 It’s clean lines and shape paired with the basic shade lets you use the lamp without you worrying about obstruction. 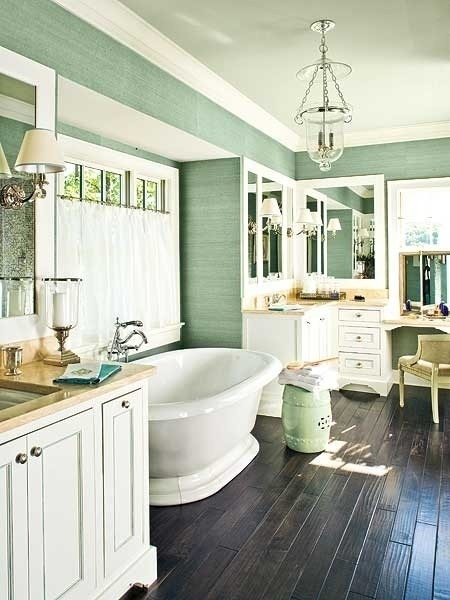 The color mint is a refreshing, soft tone that can make a home feel welcoming and calm. 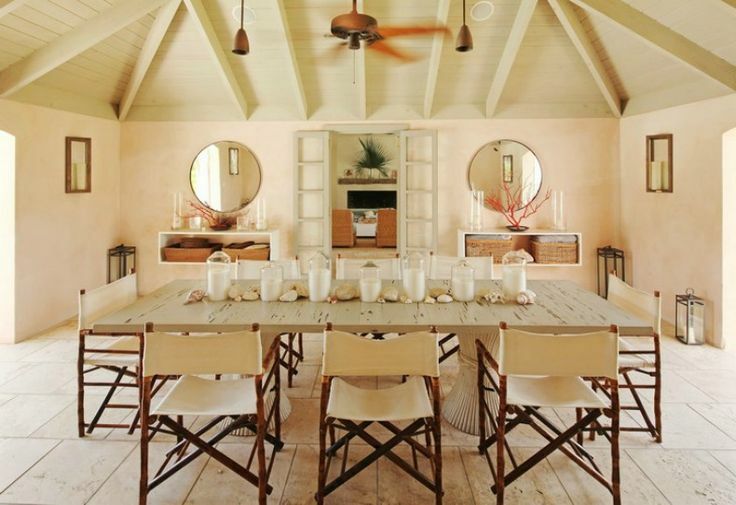 It’s also a versatile color that looks good painted on the walls and scattered throughout a space in the form of accessories. There aren’t too many colors that can get away with that. 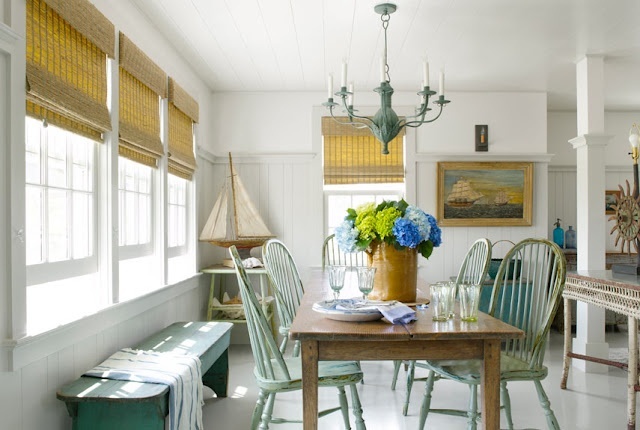 Plus we can’t forget that it’s totally a coastal color. 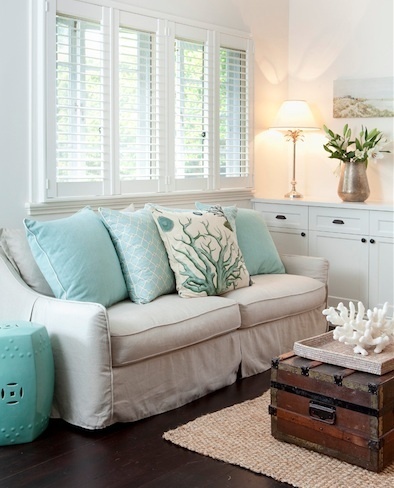 It belongs in a coastal home just as much as shells and coral. 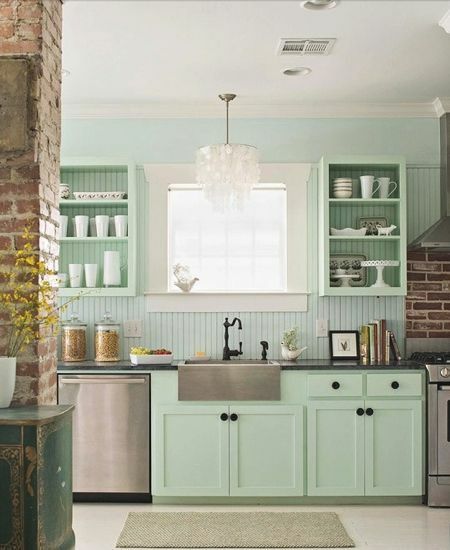 We love the use of mint in the kitchen. 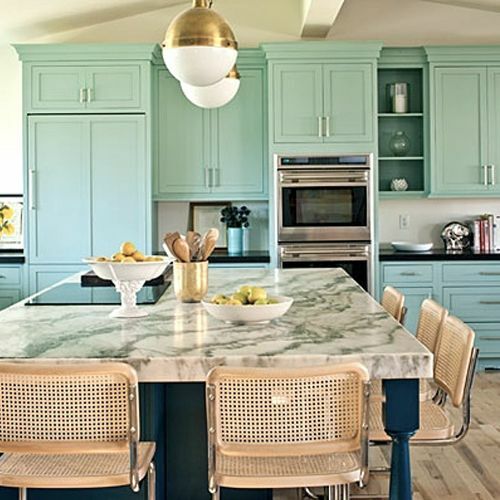 There’s just something about using the color in the kitchen that just feels right. 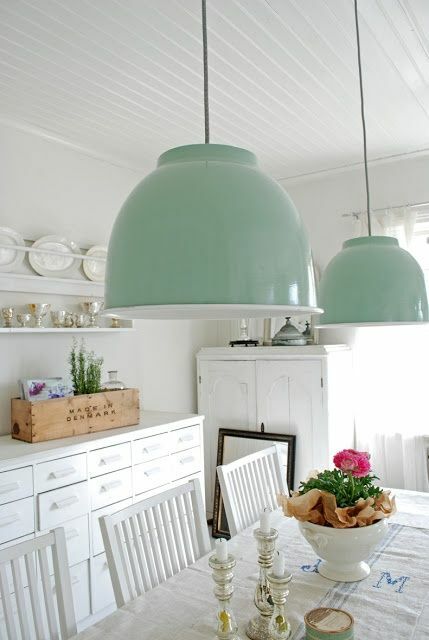 Those mint painted cabinets look so inviting and draw our eyes to them. They makes want to be in the kitchen. What are your thoughts on the color mint? Are you fan? Using it already? Or is the color not for you? Let us know! 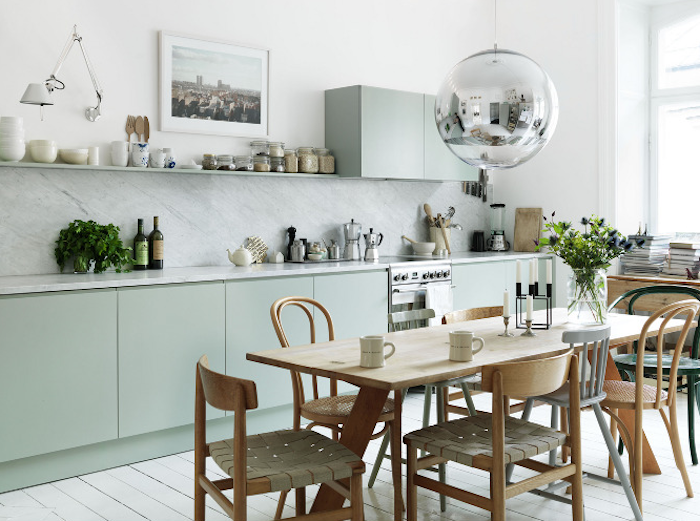 And check out how some of these designers are using mint in the spaces pictured below!